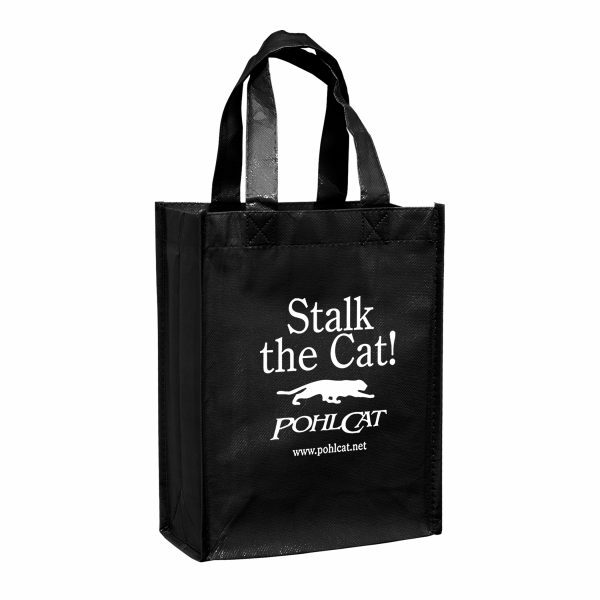 This durable grocery bag measures 8″ x 10″ and features 4″ gussets with 12″ handles. 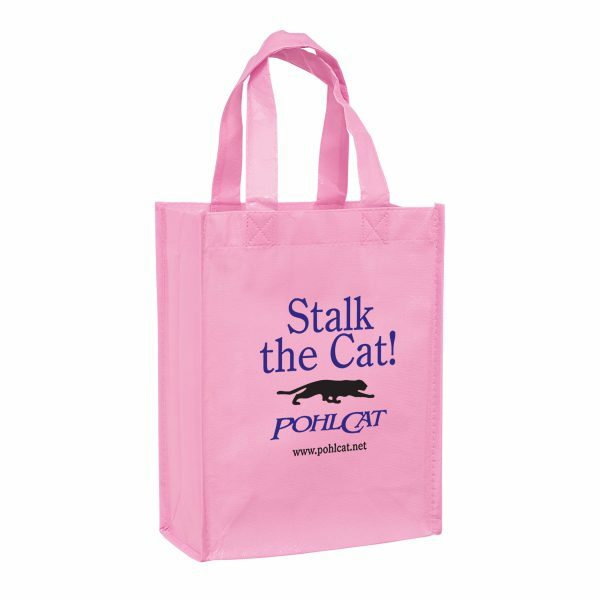 Constructed out of a non-woven, gloss laminated polypropylene material that is easy to wipe clean while providing additional structure and strength. Designed to resist water, tears, and UV rays it includes a high-gloss finish for a fashion-forward style. Customize this bag with your company name and logo for a statement customers can get “carried” away with! 110 GSM Non-woven polypropylene with gloss lamination – Recyclable # 5. 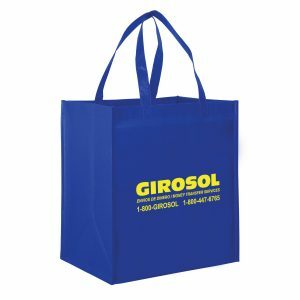 8″ W x 4” Gussets x 10” H.
Gloss Laminated Designer Tote Bag are customized with your company name and logo for a statement customers can get “carried” away with! 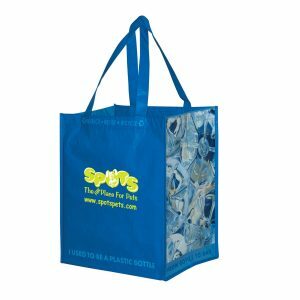 Featuring 110 GSM Non-woven polypropylene with gloss lamination, these eco friendly recycled bags are just what your company needs. Other great options here. Gloss Laminated Designer Tote Bag are customized with your company name and logo for a statement customers can get “carried” away with! Featuring 110 GSM Non-woven polypropylene with gloss lamination, these eco friendly recycled bags are just what your company needs. Other great options here. Call or request a quote today for pricing. 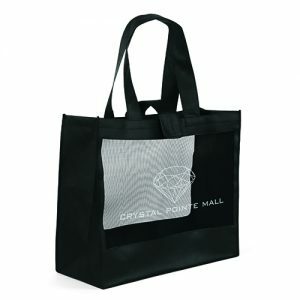 Gloss Laminated Designer Tote Bag – Wholesale green tote bags are great for any occasion or event. Give your next convention, tradeshow or promotion that extra advertising boost. They are an eco friendly alternative to plastic bags. They are a great bag for daily use. You can reuse them over and over again. Select from other top quality and affordable options at customgreenpromos.com. This durable grocery bag measures 8″ x 10″ and features 4″ gussets with 12″ handles. Constructed out of a non-woven, gloss laminated polypropylene material that is easy to wipe clean while providing additional structure and strength. Designed to resist water, tears, and UV rays it includes a high-gloss finish for a fashion-forward style. 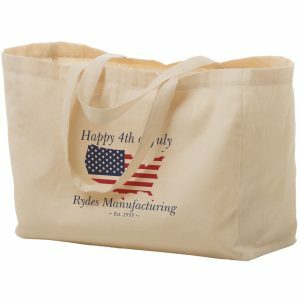 Customize this bag with your company name and logo for a statement customers can get “carried” away with!